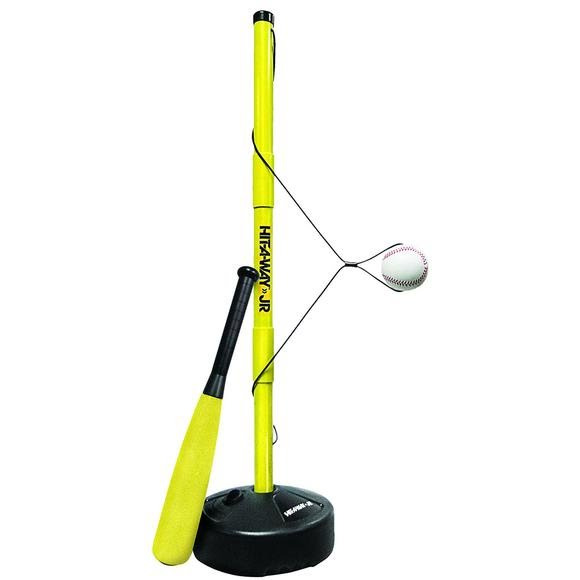 Sized just right for kids, Sklz's Hit-A-Way Junior baseball trainer sets up easy for hours of fun and safe practice! Sized just right for kids, Sklz&apos;s Hit-A-Way Junior baseball trainer sets up easy for hours of fun and safe practice! Sets up in seconds for hours of play or practice. Use as a batting trainer or as a t-ball trainer. Tethered ball simulates real pitches. Great for right & left handed batters. To avoid entanglement, ensure kids under eight years of age are supervised by an adult.